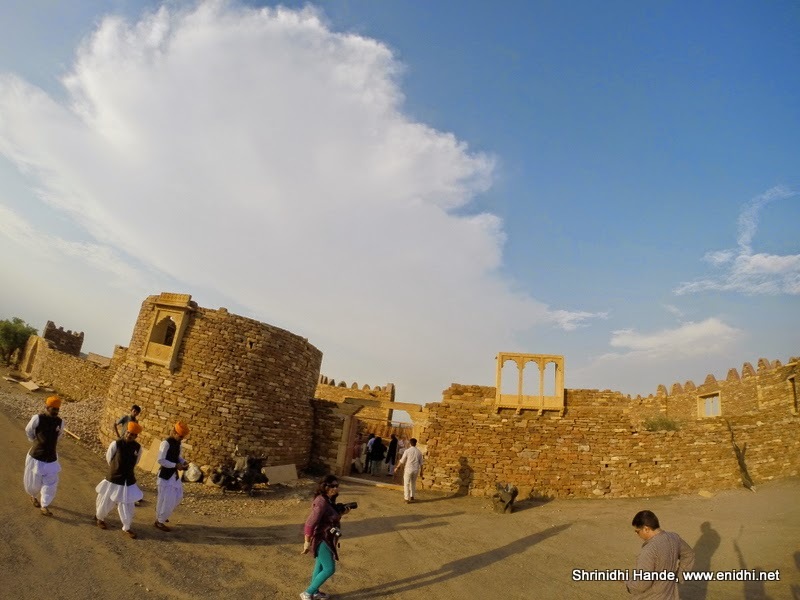 Khaba fort is a fort under ruins, near the Kuldhara village in the deserts of Jaisalmer. Fort campus is fairly small but is located on the best elevated ground possible, overlooking villages around it. It is some 35kms from Jaisalmer town, deep into the desert. Fort campus has a small gallery exhibiting various types of rocks and stones. It also has a small temple. We went there twice, once in the evening, one more time early in the morning, for one of Suryagarh's signature experiences- 'breakfast with peacocks'. Sighting a peacock is a rare experience for many of us. Having dozens of them around is an absolute delight. Our hosts, Suryagarh, Jaisalmer have perfected this art of facilitating their guests with a breakfast in the company of peacocks, in one of their signature experiences. We drove to Kabha fort early in the morning, well in time for sunrise and the breakfast was set on the fort roof. Our hosts spread across lots of grains for the peacocks and one after another, many of them started arriving for their breakfast too. I could count some 30-40+, I am sure there were more. Many of them came from far distance- we could spot a few peacocks waiting by the roadside for a convoy of cows to cross, so that peacocks can cross the road and reach the fort. Of course they are scared of people- won’t let us go too close. I got this idea little late- to keep the GoPro in the middle of their food and wait for them to come close. I did get some shots, but not the best one, as few people walked close to the peacocks to scare them away. We also spotted a dancing peacock with all its feathers spread out, while returning. I took a series of still photos, which I've included in the video below. Sunrise was not very colourful, because of cloudy skies. I tried capturing time lapse photos using GoPro, they didn't come out well because of cloud, hence deleted all the pics. 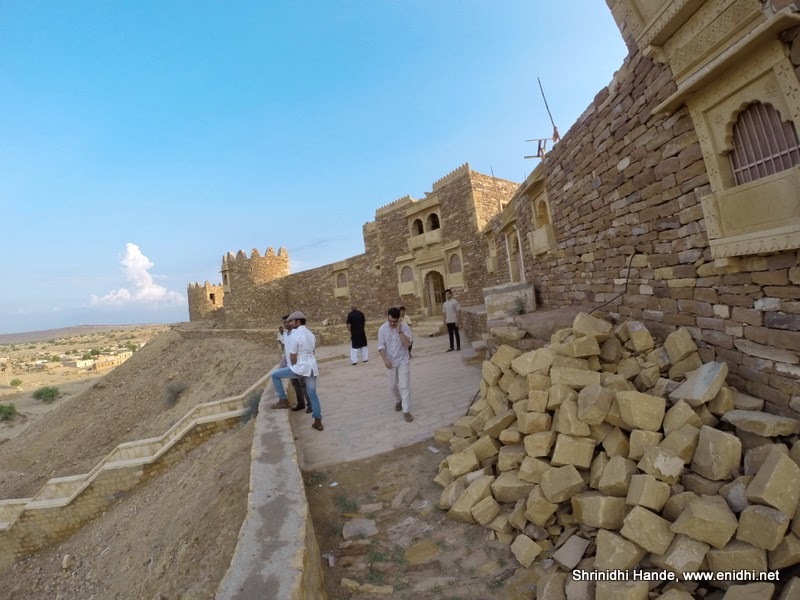 Below is the video I made out of our Kabha fort visit. We'd gone there twice- one in the evening and one more time early morning for breakfast with peacocks. The video has footage and stills from both visits.